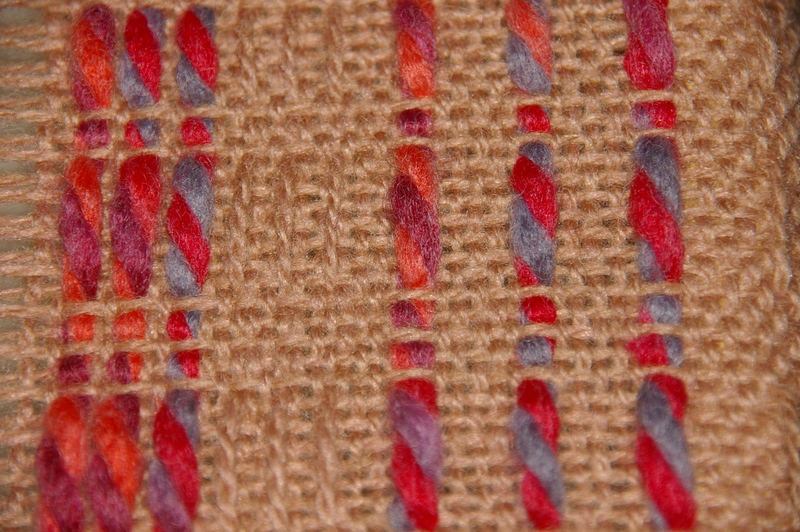 This little Sample-It loom from Ashford is just the loom to try out your ideas with the pick-up stick and a narrow width. 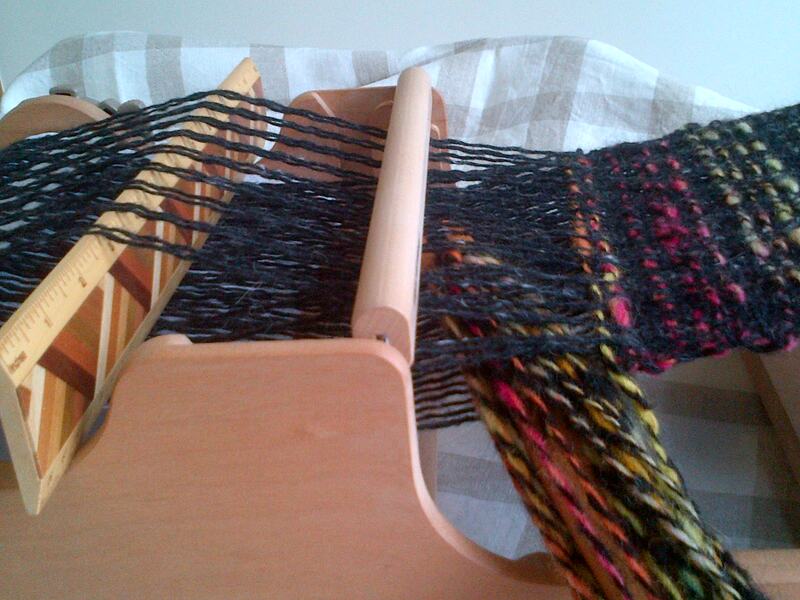 I love using my handspun yarns in the weft, especially rainbow dyed ones as it makes the patterns really bounce out at you and they don’t get swamped by the warp. I like to use a plain, fairly smooth yarn for the warp so it is easy to pick up and just plays a supporting role to all that pattern. Insert the pick-up stick or ruler, (this one came from New Zealand and has all their different woods laid in it but is also very wide so works well) behind the heddle and pick up any number of warp threads in the slots to make your shed. It could be twos like this or fives, fours or a mixture. These two books are really great to get you started and to give you the basics for how the pick-up stick works. Insert the pick-up stick behind the heddle, picking up the warp threads in the slots and not the holes or you won’t be able to make the shed. 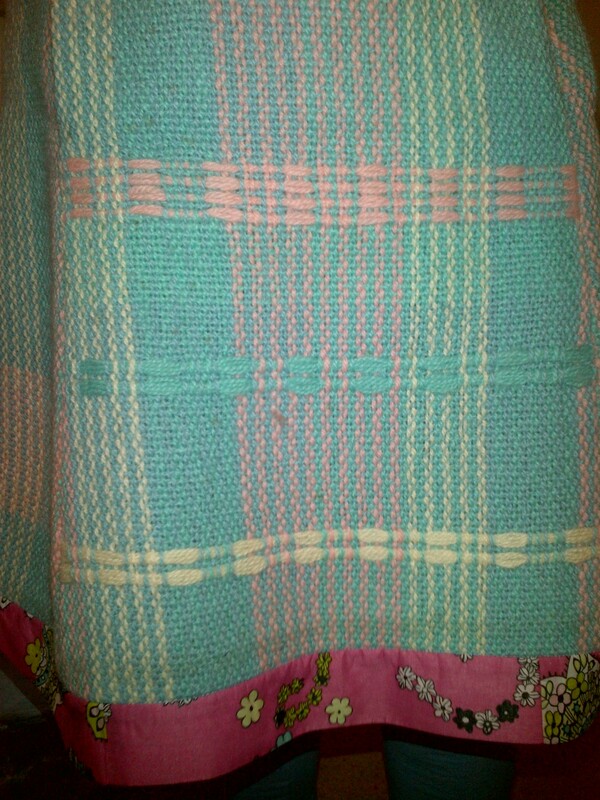 Thick chunky wools give strong detail to furnishing fabrics as they float over the firm tabby weave behind. Floats can also go in the warp and be lifted up with the pick up stick to avoid being woven until they need to be anchored down. Look out for odd balls of Colinette yarn and spaced dyed yarns which will work really well against a plain background. 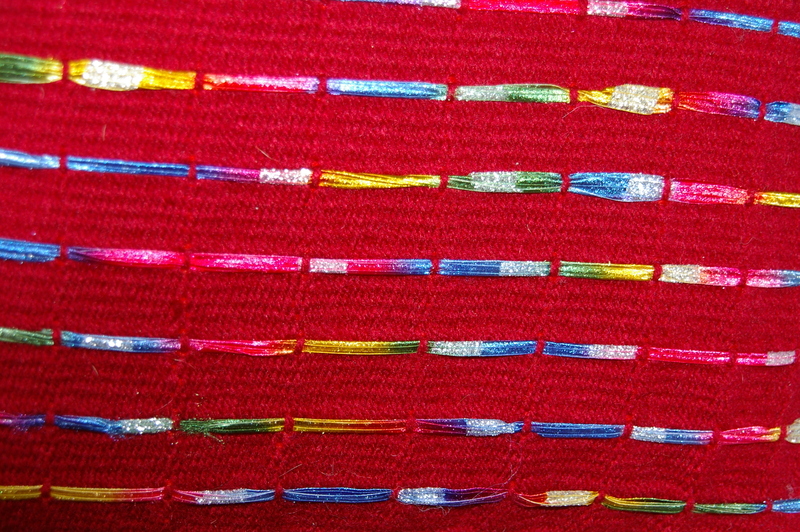 Here Sarah has used the pick-up stick to create a central panel in her wool, pinafore dress. 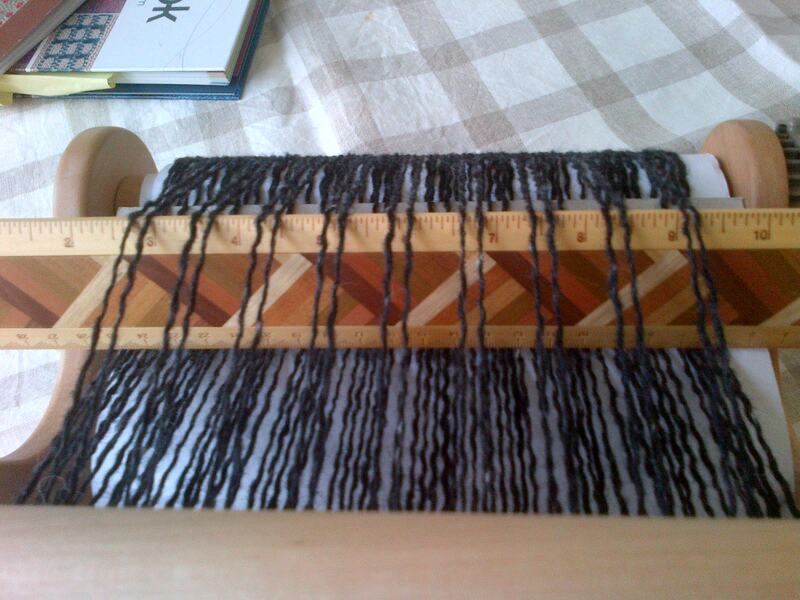 The warp and weft are the same yarn so the weaving is very balanced and the floats are just slightly raised and slide over the weaving with no loose threads to catch. 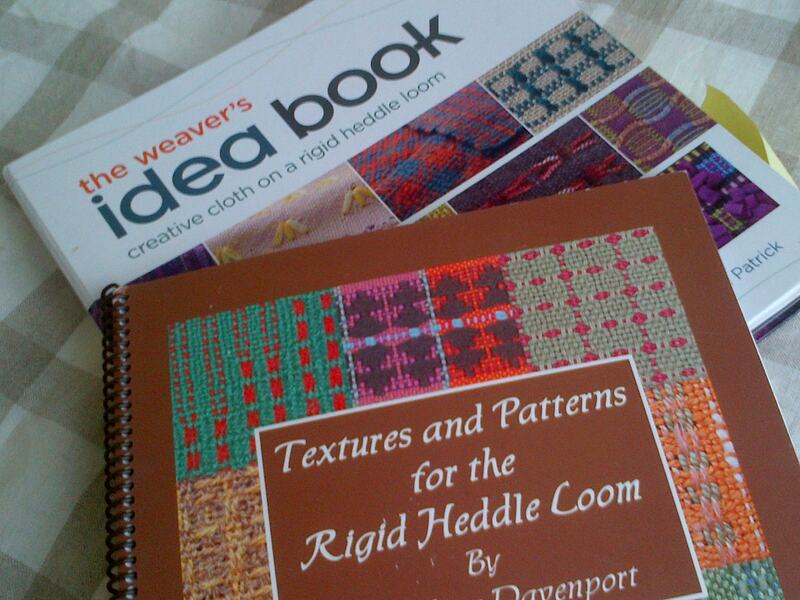 We love adding fabrics and knitting to our weaving to make them comfy to wear and fun to look at.